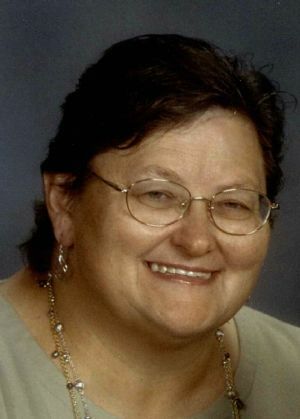 AnnDee H. Peth, age 72, of Ripon, WI, passed away on Sunday, April 14, 2019 at Theda Clark Medical Center in Neenah, WI. AnnDee was born in Ripon on March 22, 1947, the daughter of Earl and Gladys (Liefke) Hammen. She graduated from Ripon High School and went on to UW-Stout in Menomonie, WI where she received a Bachelor Degree in Home Economics. On August 23, 1969 she married Bryan Peth at Our Saviour's United Church of Christ in Ripon, where she has been a devoted member and active in the church council. AnnDee was a teacher at Moraine Park Technical College and Ripon Middle School where she taught for over 20 years. She was a member and leader of Ripon 4-H as well as a member of the Jaycettes and the VFW Auxiliary. AnnDee was adored by her students, loved by her family, and was “Grandma” or “Ma” to many. She enjoyed reading, baking, sewing, and most of all spending time with her grandchildren and attending their events. Her generosity to others continues after her death by donating her viable organs to those in need. AnnDee is survived by her loving husband of nearly 50 years, Bryan Peth of Ripon, WI; children, Kerrie Peth-Stenholt of Ripon, WI, Kelly (Shannon) Peth also of Ripon, WI and Kristi (fiance, John Dabek) Peters of Genoa City, WI; grandchildren, Hunter and Nicolas Stenholt, Brett and Brice Peth Kaci and Calvin Peters, and Krystal and Kyle Stenholt; sister, Nyla Keuler; brother, James Hammen; brother-in-law, Dan Peth; sister-in-law, Janet Peth; and many nieces; nephews; and cousins. She was preceded in death by her parents, Earl and Gladys Hammen; and two sons-in-law, Larry Peters and Todd Stenholt. Visitation for AnnDee will be held from 4:00 pm until 7:00 pm on Friday, April 19, 2019 at Butzin-Marchant Funeral Home, 515 Mayparty Dr., Ripon, WI 54971, and again from 10:00 am until 11:00 am on Saturday, April 20, 2019 at Our Saviour's United Church of Christ, 343 Scott St. Ripon, WI 54971. Funeral services for AnnDee will be held at 11:00 am on Saturday, April 20, 2019 at Our Saviour's United Church of Christ in Ripon with Rev. Dr. Kevin P. Mundell officiating. A memorial in her name is being established.